The highly efficient fixture uses an average of only .6 gallons per flush. Niagara Conservation’s newest product, the Nano toilet, is the latest and most water-efficient product in the manufacturer’s catalog. The toilet’s compact design, created using Niagara’s patented Stealth Technology, is ideal for tight spaces or tiny homes, with an elongated bowl designed to preserve user comfort. Its vacuum-assist flush technology allows the Nano to raise its water efficiency up to an average .6 gallons-per-flush. This makes the Nano one of the most water efficient toilet fixtures on the planet, according to the manufacturer. 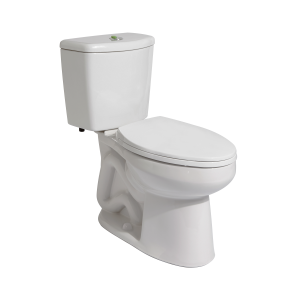 The toilet is WaterSense certified, MaP premium rated, and certified by the American Society of Mechanical Engineers (ASME). Additional features include a vacuum-assist flush, a noise-cancelling water tank, and a 10-year warranty.